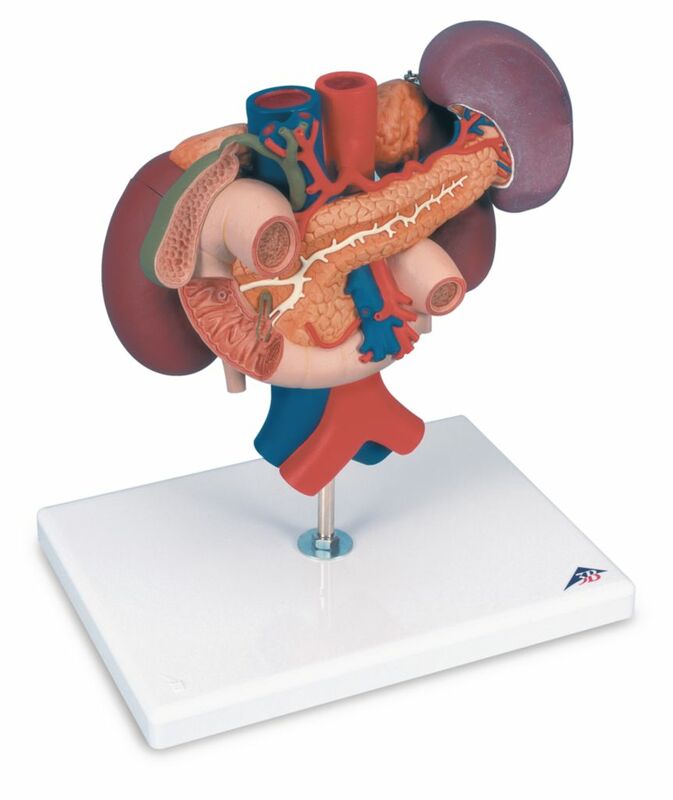 These high quality models with rear organs of the upper abdomen are available as individual models showing the kidneys with blood vessels, organs of the upper abdomen, or as both in a single model. 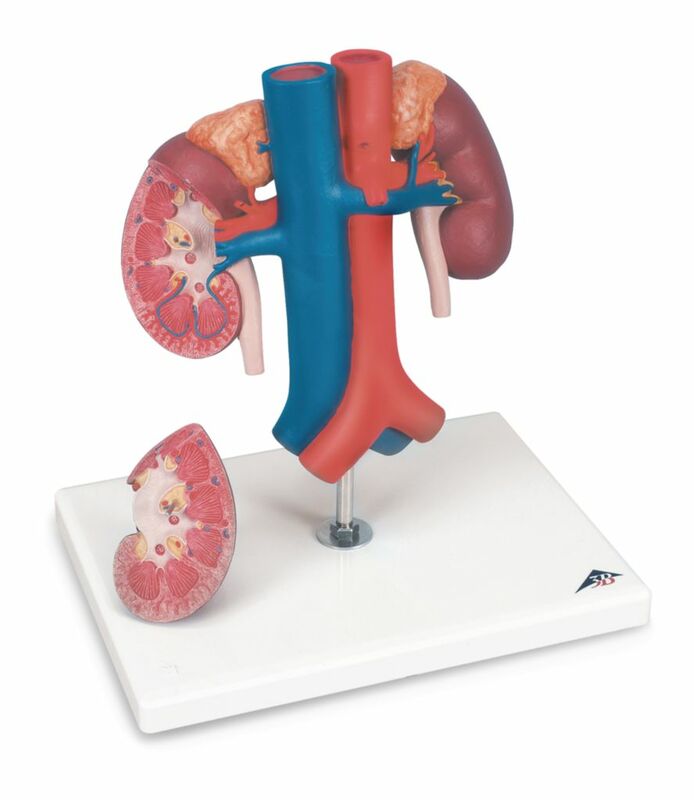 The kidneys with blood vessels has one kidney with a removable section for additional study. 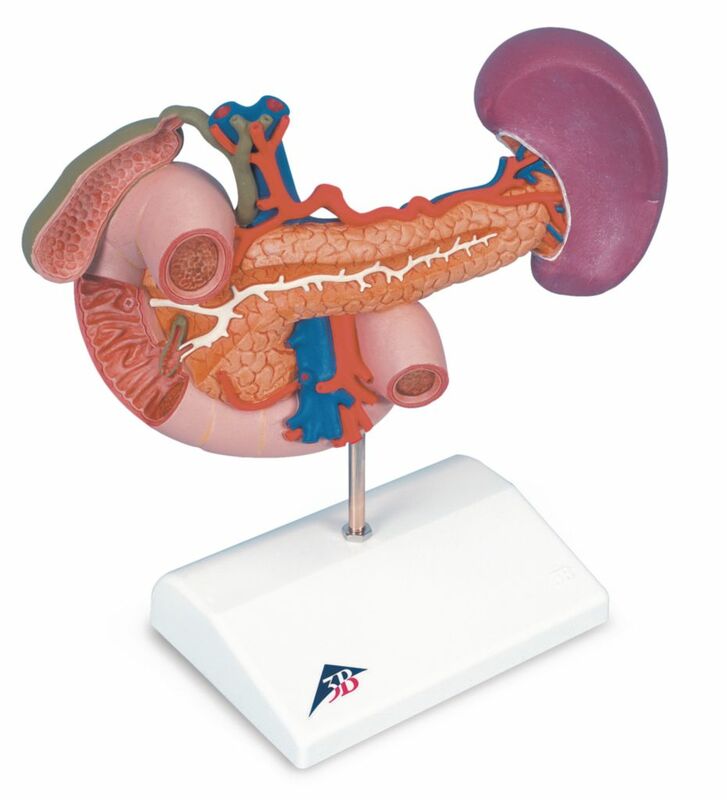 The Organs of the upper abdomen shows the duodenum, gall bladder, bile ducts, pancreas and spleen. Combined the two models depict aspects of both the urinary and digestive systems.